Illumination Entertainment prints money. Their three most recent films (“Despicable Me 2,” “Minions” and “The Secret Life of Pets”) have raked in just under $3 billion combined, with an average budget per film of $75 million (which is roughly half what Disney and Pixar spend on their films). As business models go, it’s hard to come up with a better one. On the other hand, those Illumination films range in quality from aggressively mediocre to downright bad, and in 10 years, they’ll all be forgotten. If Pixar films are a blue chip stock, Illumination films are day trader profits; it’s all about the now, hence the emphasis on merchandising over story. 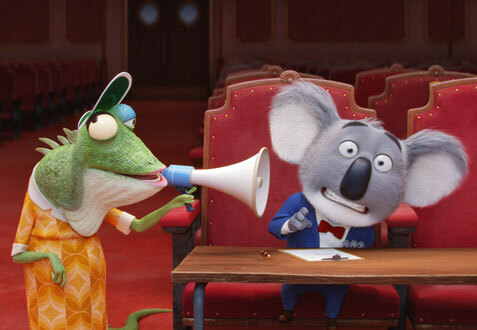 “Sing” appeared to be aiming (slightly) higher than its most recent predecessors in terms of quality, but it falls victim to the same trappings as the others, namely a script that feels as though it wasn’t touched by human hands until the third act. The first hour is a laundry list of overused tropes, including a few that are so outdated that their presence here beggars belief. Koala bear Buster Moon (Matthew McConaughey) is a theater owner in desperate need of a hit. He decides that his newest show will be a singing competition, and when the grand prize amount is moved two decimal points to the right thanks to a series of events both gross and absurd, Buster is surprised to see that he has a bevy of talent to choose from at auditions (but doesn’t yet know why). The ones to make the final cut are classically trained mouse Mike (Seth MacFarlane), hausfrau pig Rosita (Reese Witherspoon), German pig Gunter (Nick Kroll), sensitive gorilla Johnny (Taron Egerton) and teen punk porcupine Ash (Scarlett Johansson. Yes, Scarlett Johannson plays a teenager). Meena (Tori Kelly), an elephant with pipes for days, went to audition but is terrified of performing in front of an audience and is bullied off stage by Mike. She goes to audition a second time, and Buster asks her to be his stage hand without ever hearing her sing. This turns out to be a very good thing for all concerned, for obvious reasons. John C. Reilly, who voices Buster’s slacker buddy, was Wreck-It Ralph. Egerton was in “Kingsman: The Secret Service.” McConaughey and Witherspoon have Oscars on their mantles. MacFarlane created “Family Guy” and a slew of other shows. Johansson is an Avenger, for God’s sake. This cast, with the exception of Kelly, who’s making her feature film debut, knows good writing when they see it (and Kelly probably does, too), so you have to think that it hurt them a little to agree to do this film, especially MacFarlane. He had to be begging to do rewrites. From the dialogue to the plot lines, writer/director Garth Jennings’ script commits several sins (leaning on hoary clichés, mainly), but the worst has to be the movie’s chauvinistic tone. Ash’s boyfriend talks to her like she’s a toddler (you know, because she’s a girl and can’t understand his innate awesomeness), while Rosita’s husband is something out of “Pleasantville.” He comes home from work and doesn’t lift a finger to help his wife with their 25 (!) kids. In fact, when she sets up a rather ingenious substitute for herself to handle the daily chores, he doesn’t even notice at first. A pig in both the literal and figurative sense. Wasn’t this cliché put to bed 20 years ago? And then, something incredible happens: a dead-serious disaster film breaks out at the end of the second act. The tension is shockingly real, with loss of life feeling like a certainty. It’s arguably the bravest moment in Illumination history, and it is equally well-timed, because it wipes the slate clean and leads to a much more enjoyable finale. When the leads aren’t singing (who knew Taron Egerton had such a great voice? ), they’re often getting upstaged by the supporting cast. Jay Pharoah, for one, steals every scene he’s in as Meena’s blustery grandfather. 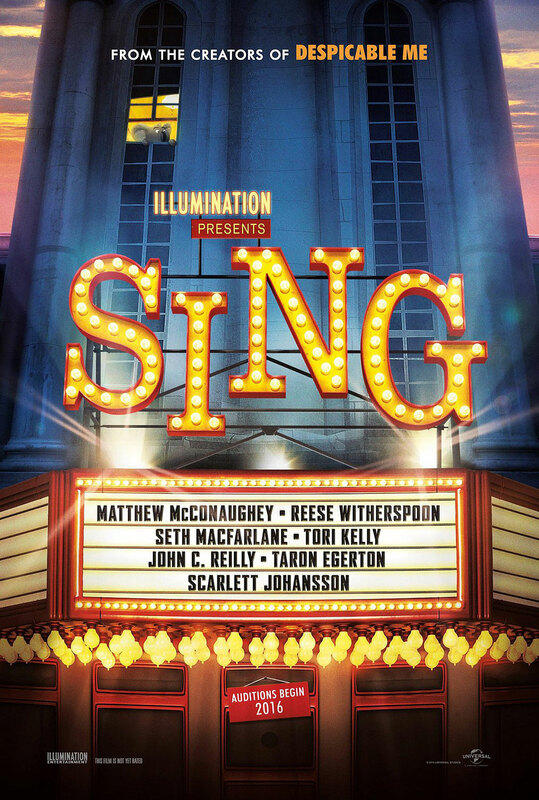 Jennings had a good idea here (if a tad obvious), but “Sing” lacks finesse. The story lives and dies on characters not talking to each other, and the characters have personality tics rather than depth. It doesn’t help that Disney beat them to the punch by nearly a year with a film also based in the animal world (“Zootopia”) that boasts a story line far more complex and relatable than what this movie offers. This cast had the ability to create something special; unfortunately, the wrong people were in charge.